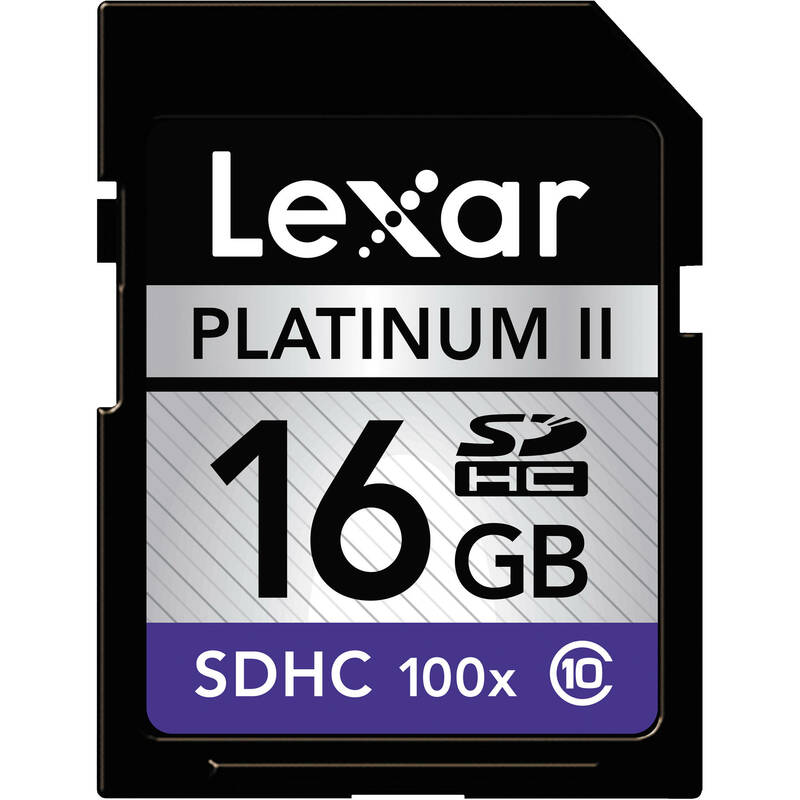 The Lexar 16GB SDHC Memory Card Platinum II Class 10 is designed for fast-paced photo and video work. It's also boasted as being a high-capacity option for netbook memory expansion. Whatever you use it for, you can be sure that the Platinum II is fast. A class 10 memory card with 100x speed rating, it delivers read speeds up to 30MB/s and write speeds up to 9MB/s. Whether you're a rapid-fire photographer, or you simply move a lot of data, this card will serve you well. Lexar backs this card with a limited lifetime warranty, which adds peace-of-mind to stellar speed and respectable capacity. Box Dimensions (LxWxH) 7.0 x 5.0 x 0.01"
16GB SDHC Memory Card Platinum II Class 10 is rated 4.8 out of 5 by 93. Rated 5 out of 5 by John from Good price, quality card I use this card for my canon 600d/T3i for picture and video mode. This card works great and is just the right speed for my camera to save pictures and videos at its own pace. It really kills my old class 2 8gb. I am able to take the max amount of video my camera can handle(4gb at a time) with ease. It's fast enough for my camera to take pictures at its max shutter speed and will only slow down when my buffer is full, so it's not the cards fault when things slow down. Cannot find any dislikes, it does everything it should, and very well at it. Rated 5 out of 5 by Rob from Super Fast SD card for DSLR video! 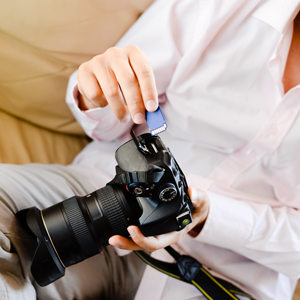 This SDHC card is perfect for DSLR video shooting. plenty of space and most importantly plenty of speed so that your camera doesn't quit on you midway through your shot. I bought this to replace a Class 6 SDHC card because of this reason. Got to do some heavy testing before using it for a professional shoot and it passed with flying colors. great price and Lexar is a name I can trust. Rated 5 out of 5 by Cate from A Helping Hand I use the Lexar 16 GB Platinum 100x SDHC card in the Nikon D5100 I received for my 18th birthday. It's a reminder that SDHC cards can be so useful, but so underrated! The writing speed is fantastic, so you can just grab your camera, and go out and shoot without having to worry about waiting around for the card to finish writing the data. 16 GB is also a great size for either everyday photography if you don't want to be uploading your photos regularly, or taking on holidays when you don't have a computer to upload your photos to. Rated 5 out of 5 by Taylor from Pretty peppy card and a great price This is one of the cheaper 16GB class 10 cards and it performs very well. It should be fast enough for just about any application including newer DSLR cameras and HD video. Testing this card out with some benchmark software I got 20MB/s reads and 16MB/s writes. Compared to my older Lexar Platinum II 16GB 60x card, this new 100x is almost twice as fast. I also tested it against a new 8gb Transcend Class 10 and they are basically the same speed (transcend writes 0.5MB/s faster. All in all an excellent choice. Rated 5 out of 5 by Levack Photography from Great Value I needed a class 10 card for a friend who was doing some video work with a GoPro Hero 2. We tested the card and it had no problems capturing 10 frames a second out of the Hero. Lexar has never let me down and the price was too good to pass up. Rated 5 out of 5 by Jolinne from So far so good! Nothing much to say about it. I've used Lexar cards before, I'm not picky about memory card, the price was great! The fact that's it's a class 10, meaning I can do HD video with it, is more than I need!